I first came across this Australian brand at the Superdrug spring/summer event, where I was impressed with the cute and quirky packaging and the quality of the products. So when Superdrug got in touch and asked if I wanted to try a few of the products I was more than happy to! My favourite product has to be the full and flirty mascara, which really helped to lengthen and volumise my lashes. Read my full review here. 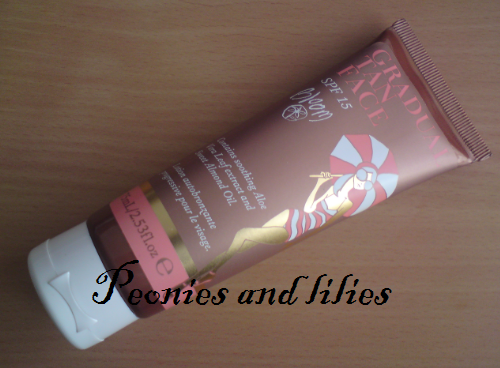 The gradual face tan has a very strong herbal scent to it and although it wasn't as nice as my usual moisturizer, it did keep my skin hydrated throughout the day. Over a few days my skintone did get darker, but the effect was very natural and it faded well without any streaking. 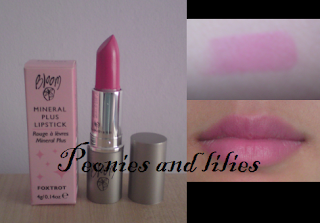 I would describe the mineral plus lipstick in foxtrot as a pretty pinky purple colour with a slight sheen. One coat is subtle enough to be worn during the daytime, but I much prefer to apply a few layers for a night out. I found it moisturizing on the lips and it lasts for a few hours without fading. My least favourite product has to be the lip definer in outline. 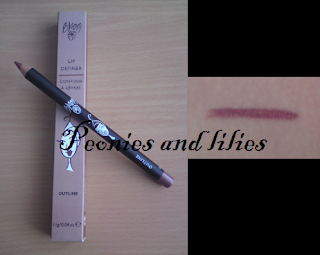 There wasn't anything wrong with the product, but I don't usually use lipliner and I wasn't a fan of the shimmery brown colour. It does however apply easily to the lips and lasted for a few hours before fading. 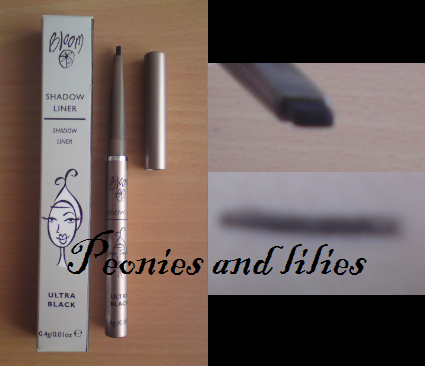 The shadow liner in ultra black comes in a twist up pen, so there's no need for sharpening. It's a matte black colour that lasts fairly well throughout the day, although it will need a touch up to last the whole day. Because of the rectangular shape, its near impossible to draw a thin line, but I like the fact that it's a quick and easy way to thickly line my upper lashline. Overall I'm impressed with the products in this range. They are more expensive than a lot of the other high street brands but the products are of a very good quality and they are very nicely packaged, which gives it a more high end feel. Like any brand some products are better than others, and the stand out products for me were the mascara and the lipstick. Have you tried any Bloom products? What are your favourites from the range? Oh weird, why is that liner rectangular!???! ohh i love that lipstick such a nice colour! Bye bye razors, hello epilator!